No Depew, NY home is complete without an enjoyable outdoor space, like the ones created with vinyl deck installation. 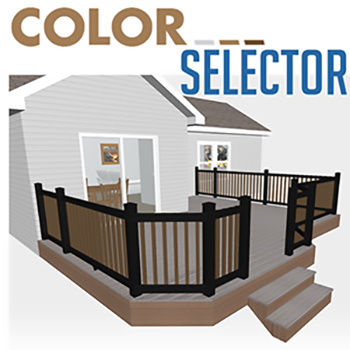 The Vinyl Outlet is Western New York's premier deck builder, carrying only the highest quality PVC vinyl decking product. Custom designing your dream home includes building the deck of your dreams, too. Installed by the finest and most experienced craftsmen, The Vinyl Outlet will create an outdoor space that will leave the neighbors envious. There are many options from which to choose when selecting a decking product. Wood, composite and vinyl are the most common decking materials. Building a deck is an investment, not just into the value of your home, but into your family's quality of life as well. Vinyl decking is the most durable and maintenance free decking option, guaranteed to last for decades. Although wood decks are less expensive, weather conditions require wood decking to be continuously maintained and refinished, especially with the harsh winters of Western New York. In addition, wood decks attract wood destroying organisms, such as termites and ants, allowing them to nest near your home. Composite decking is manufactured from a mixture of recycled wood fibers combined with a plastic component for binding. Although more durable than wood, composite decking stil absorbs moisture and can mold and mildew in humid weather conditions. Many homeowners regret their choice to install composite decking, especially when they are required to stain it yearly. The Vinyl Outlet is proud to provide high quality, beautiful decking options to homeowners throughout Depew, NY. Contact us today for a consultation and to begin designing and building the outdoor spaces that your family desires.